PipelineDeals is a customer relationship management (CRM) solution designed to increase sales productivity. Its features include sales forecasting, recurring deals automation, email campaign tracking, smart search, and more. In this article, we cover PipelineDeals reviews and pricing. Ready to try PipelineDeals? Get a free trial. Users who gave PipelineDeals a positive review said that it has a user-friendly interface and a responsive customer support team. They also added that it provides comprehensive reports on sales performance and other business activities. 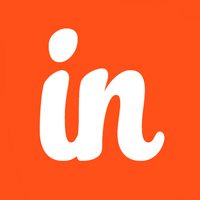 Users who gave PipelineDeals a negative review complained about frequent interruptions on third-party app integrations. Some also reported issues with its search function as it produces inaccurate results. A few of them said that it can be time-consuming to delete and organize their contact lists. PipelineDeals pricing has three available subscription plans. When billed monthly, the Start Plan costs $29, Develop Plan costs $39, and Grow Plan costs $59.The main difference between the plans is the availability of premium features like post-sales account management support, two-way email sync, milestones and deadlines, and multicurrency support. Ready to try PipelineDeals? Get a free trial. 6 Best CRM for Small Business 2019: CRM software helps your sales team stay organized so that they can better focus their efforts and close more deals. In this guide, we compare the best CRM software in terms of deal and opportunity management, workflow automation, price, and other considerations. This guide will help you choose a CRM software that would help your business stay organized. Can PipelineDeals Users Import and Export Their Data on the Software? PipelineDeals users can import data such as contacts, companies, and deals saved in comma-separated-value (CSV) file format provided that they follow the template available on the website. Exports can be in CSV or PDF formats. Can PipelineDeals Users Sync Their PipelineDeals Calendar With Their Phone Calendars? PipelinesDeals enables users to sync their Google Calendars from their phone to the software. There is also an option to download the read-only PipelineDeals calendar on their phones. Have you read these PipelineDeals reviews and are still not sure if it’s the right fit for you? Read our reviews of all top CRM software or check out one of these three PipelineDeals competitors. The user interface is the easiest sale CRM to use that I have ever seen. This is big for training, getting people to use it immediately, you can drag and drop the views how you like, add custom fields, and the reminder features for appointments are great – it sends you an email and SMS message when your appt is upcoming so you do not miss a sale or appt. Lastly, it’s affordable. I have not used the email service they have when it launched I did not like it so I stuck with my other service provider. I would love it if there was integrated billing and invoicing to truly track everything in one place like accurate client values and send out customized proposals or templates. It was one of the first systems I started using and didn’t really have a CRM. I was using Authorize.net as the CRM since that accurately tracked client sales and what the ordered. Pipeline is a great CRM that is very easy to use and integrate with other programs. One of my favorite features is the pipeline plugin that allows you to sync linkedin profiles directly into your pipeline. One thing that can be very time consuming and annoying is that if you delete a company it will not delete the people within the company. You have to select and delete each individual and then delete the company profile. I felt that we were very aware of the product we were purchasing before we purchased it. We researched multiple CRM products and Pipeline had everything we needed for the best price. 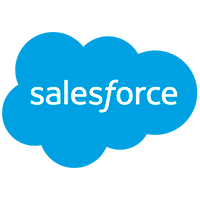 For bigger companies I would recommend a product like Salesforce because of the increased customization capabilities. Their customer service rocks. Whether they can handle the issue right away or need to work on it, they are timely and respectful. Good customer service seems to by a dying act and I value companies that still make it their priority. The program interface is simple and user friendly. There are a handful of functions that we wish could be used slightly different given our rental and touring business operation. However, every-time we request a slight update or change, again, they are responsive and try their best to make the adjustments. Nothing I can think of. 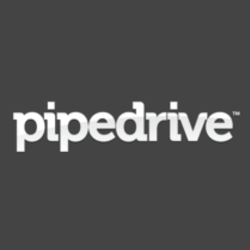 Pipeline is a great CRM program that you won’t regret purchasing. Very easy interface and their customer service is on point. Being in the customer service industry for my entire career, I’ve always been impressed with Pipeline and how quickly they get back to you and resolve any issues. Nothing, this is a wonderful CRM software. I highly recommend it. Flexible programmers at Pipelinedeals.com seem to be very amenable to change and new ideas, and empower the end user by allowing them to make their own changes to the software. Customer support is strong, and all in all, this is a very strong CRM. 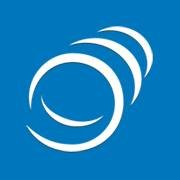 It’s been a year since I’ve used Pipelinedeals.com due to a change in the company I’m working for, so I can’t say for sure what it’s like now (though I’d love for my current company to dump Microsoft Dynamics and bring in Pipelinedeals.com! )… but a year ago, I’d have said that when I’m in a particular Company entry, with many, many entries that have grown over time, I find it difficult to locate the information I’m looking for. For instance, if I spoke with a customer about “123 product” some 6 months ago, that conversation gets buried under so many different conversations about other topics we’ve spoken about since then. I wish I could hit CTRL-F to search for “123”, but that will only pull up a match from what’s visible on the page at that moment. PipelineDeals truncates messages, and after a certain number of messages are created, it hides the older ones. You have to click “Show more” in order to show more deals, and hit it again and again to get them all showing. And once that’s done, you need to expand the entries themselves from their truncated state. I wasn’t the buyer. Even if I was, I’m not sure there’s anything negative I could say about it.